This weekend brings us festivals in celebration of ye olde times, babe-a-licious beach sports, and more. The following fests are just a sampling; for more events, check out our calendar at rochestercitynewspaper.com. Sterling Renaissance Festival: Sterling, NY. 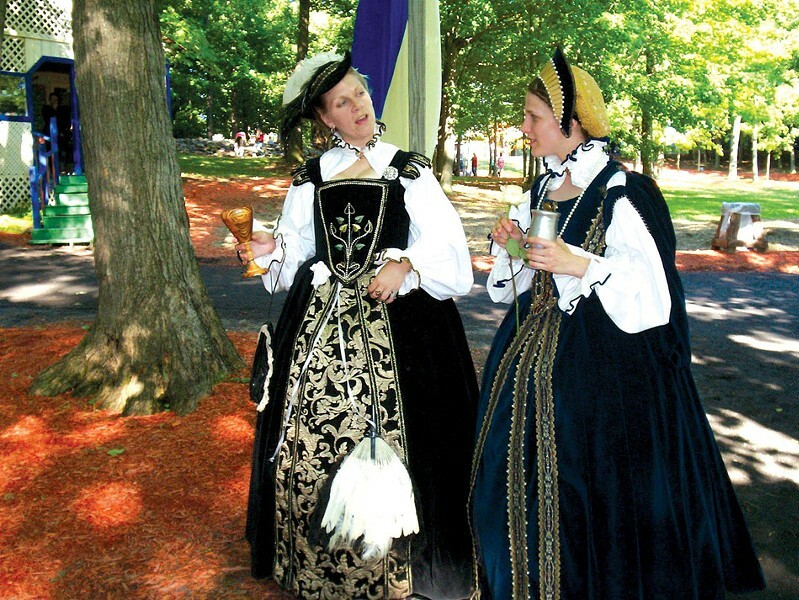 Feast on food fit for the Queen, and enjoy artisan demonstrations and interactive performances each Saturday and Sunday through August 18. Each weekend has a different theme, July 13-14 being "Wine, Chocolate & Romance Rendezvous," with special element specifically for couples. Festival hours are 10 a.m.-7 p.m. Admission is $25.95 for adults, $15.95 for children ages 5-12, and free to kids age 4 and younger. For more information, call 800-879-4446 or visit sterlingfestival.com. Ontario Beach Sports & Music Festival: Ontario Beach Park, 4800 Lake Ave. The festival takes place Friday, July 12, through Sunday, July 14, and features beach wrestling and sand soccer, music, and festival food. On Saturday, check out Roc Boxing & Fitness Center's Bells On the Beach, the IKFF Western NY Invitational, 9 a.m.-5 p.m. The annual Beach Wrestling Championships takes place Saturday beginning at 11:30 a.m., and Sunday beginning at 10 a.m. For registration and more information, visit monroecountysports.org/events.